After starting the fifth season of the ABB FIA Formula E championship with their fourth season-opener podium in a row, Mahindra Racing celebrated another milestone in Marrakesh: Jerome d’Ambrosio, who joined the team in time for the second chapter of the all-electric racing series, celebrated his first ever on-track victory with the Indian team. The success was a bittersweet one though as Pascal Wehrlein had to retire from the race after just a few corners due to a collision through no fault of his own. 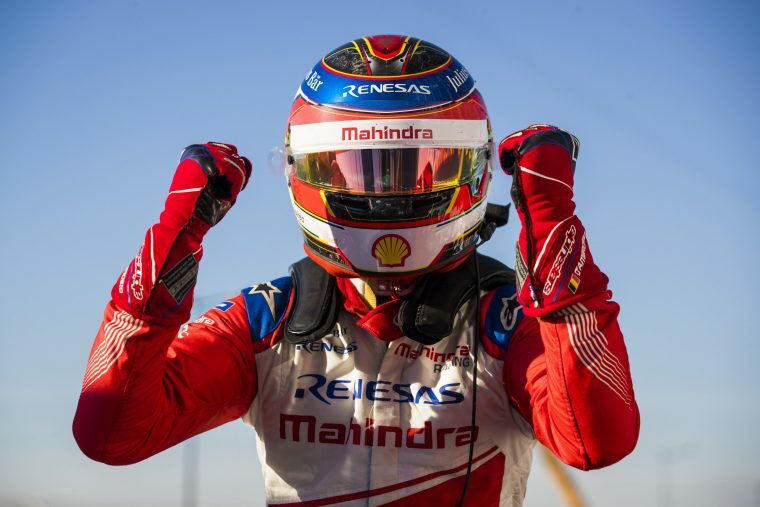 Nevertheless, the 2019 Marrakesh E-Prix provided the first real chance to take a look at how successfully Mahindra Racing developed over the summer break, as the same track layout was used. But can the apparent performance jump be backed up by the numbers? With Pascal Wehrlein celebrating his Formula E debut in Marrakesh, gaining as much experience as possible was the defined goal for the German heading into the race day – and he delivered. The former Formula 1 driver completed nearly as many laps as his Formula E veteran of a teammate did and was showing great speed in the second free practice session. The Belgium relied on his experience in the street canyons of Marrakesh and kept his cool during the turbulent first lap, making up five places in the process, which might have been the key to his victory later on. Even though Pascal Wehrlein did not score points in his Formula E debut, the German showed a lot of potential as he quickly got the grips with his car. Would he have been able to finish the race, the German would have clearly had a shot of a top-five result, if not more. That being said, it looks like there is no way to win this season’s championship without finding a way past Mahindra Racing who seem to have found their secret to success in season five. Last year, Mahindra Racing completed 147 laps in Marrakesh; in 2019 they only managed to total 112 – almost 25% less – due to Pascal Wehrlein being forced to retire from the race after just a few metres due to a collision he was not responsible for. Nevertheless, the German showed a very promising performance during the entire Marrakesh weekend. While all eyes were on teammate Jerome d’Ambrosio who secured a strong and well-deserved victory for the Indian team, Wehrlein’s ability to adapt to the Formula E car as quickly as he did raises hope for the upcoming Santiago E-Prix. 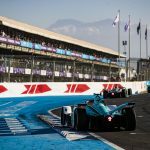 Furthermore, unlike the season opener, the Marrakesh E-Prix actually allows a proper comparison of lap times as the same track was used in 2019. One can conclude, that the Gen2 cars are 1.795 seconds faster on average on the streets of Marrakesh. The smallest difference between the times set in December 2017 and January 2019 could be seen in the race in which the gap was only 1.027 seconds – nearly half of what could be seen in all the other sessions. This might be a direct result of the new race format in which the drivers can use more power, but have to manage their battery a lot more as they are not permitted to change their car halfway through the race any longer. 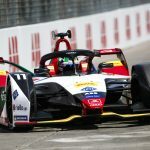 Nevertheless, an improvement of an entire second speaks volumes about the positive development of Mahindra Racing and Formula E as a series in general.